The Financial Empowerment Center offers free financial counseling to all Philadelphia residents regardless of education, income, or financial background. Our professional counselors help clients with a variety of different issues including debt management, credit management, and saving. We believe that everyone should have the opportunity to learn about the money issues that affect them. Basic financial education and support can reduce confusion and stress surrounding money management, so we’re happy to schedule a free session with anyone who needs it. •	Pull your credit report and reviewing with you. •	Develop a payment plan to pay off any debts. •	Call your creditors to negotiate rates and fees. •	Identify and solve identity theft and fraud problems. •	Connect with new sources of income that can help you to make ends meet. •	Create a plan to pay down your debt. •	Pay back student loans. •	Contact and report debtors who are harassing you. •	Figure out how much you need for an emergency savings fund. •	Create a savings plan that will help you to reach your goals. •	Find you a safe and affordable savings account. •	Work out a financially stable retirement plan. •	Gain independence from payday lenders and check cashers. For more information, please contact Jim Keller at 215-568-2220 or email jkeller@1199ctraining.org. More information about Philadelphia's Financial Empowerment Centers is available at www.fecphilly.org. Free financial literacy classes, open to students, District 1199C union members, their families, and the community! Set financial goals, manage cash flow and build net worth, understand insurance and investment, and make credit work for you. 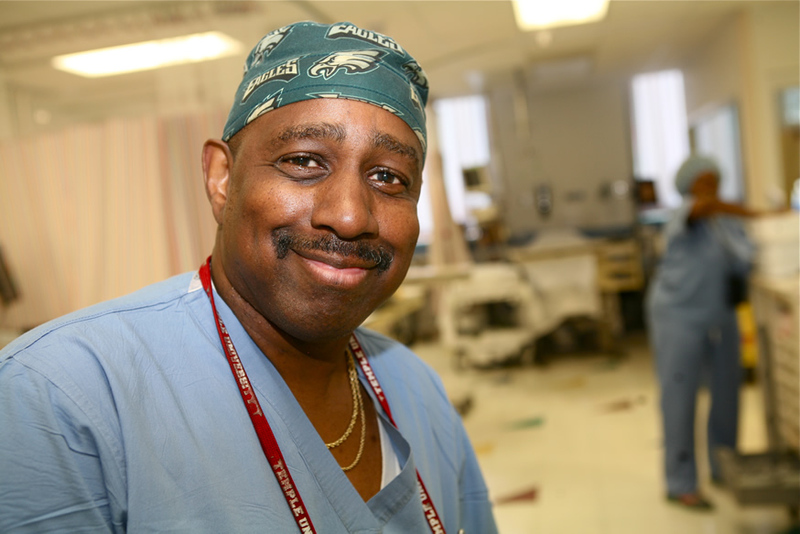 Johnnie Singleton is an Operating Room Attendant at Temple University Hospital and a District 1199C union member. Through the Training Fund, he attended a Personal Financial Planning course to improve his understanding about money matters. Johnnie’s primary goal was to purchase his first home, but he was very intimidated by the home buying process. He knew that he needed to get his financial house in order first. Through the Fund’s Personal Financial Planning course, he learned how to prioritize his money goals as an initial step, and to develop an overall plan that would help him systematically reach his goals. Creating a budget would help him determine how he spent his money, and would also let him know just how much house he could afford. He set up a checking account to pay bills and track his spending. Purchasing a home would require Johnnie to have adequate credit. He learned how to understand how credit works, how to check his credit and how to establish or improve it. He also set a savings goal as part of his plan. Johnnie did get his financial house in order. After going through the course, not only was he much more confident about how to manage his money, he ultimately accomplished his goal of purchasing a home in New Castle, Delaware. He encourages every union member to take the Training Fund's Citizens Bank® "Financial Fitness for Your Finances" Classes, because of the help these classes offered him. For more information about "Financial Fitness for Your Finances" classes, contact Jim Keller at jkeller@1199ctraining.org, or call 215-568-2220, ext. 5104.